sometimes stepping back & focusing is a good thing... right? or maybe i should say..... obsessing instead? i mean.. you only get ONE first birthday right? & it's coming quicker than i'd like to admit! 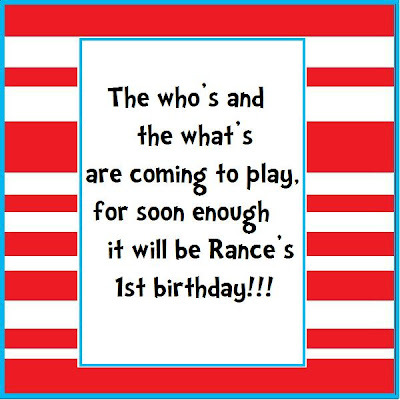 i was fairly sure i was going to have a knights & dragon's party for the babe..
my aunt set me on that path because she calls the babe 'sir rancelot'. i mean. everything just seemed too grown up. i couldn't get a handle on the vibe. ...and ya.. i realize that probably sounds silly..
but what i mean is that stuff wasn't jiving for me..
food, decorations, colors, games, favors... all that stuff. and i thought it was just because i was coming off of a post-birthday high with the lego birthday..
but when it didn't subside i knew i was in trouble..
and that's where the birthday express catalog stepped in. up until mason's lego birthday, i was all about avoiding the themed birthdays..
i like the non-character, build from scratch birthdays..
but truth is.. sometimes those are hard. ya know, i can't toss it out without looking at it first..
i found like 4 different themes i liked. a lil' rebel one with argyle & skulls.. blues & blacks..
and then the one that, after a little digging online..
any guesses as to what it might be? ps. back tomorrow with some crafty posts... i think the dry spell has left me..
oo-oo-oo i know!! pick me pick me! could you, would you?